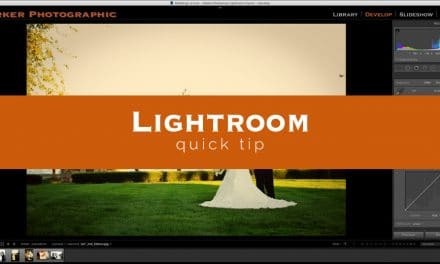 It’s time for number 6 of 10 things I’d tell new Lightroom users. As promised, we are going to explore the Develop Module. Where to start. Let’s see. Well, if we start from the beginning and discuss everything, we could be here for a few days or more. I’m often asked, “where do I start”? 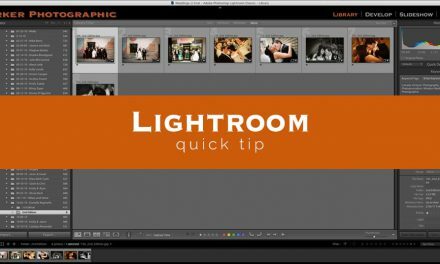 First, Lightroom was created by photographers for photographers. Well, it was created by Adobe. 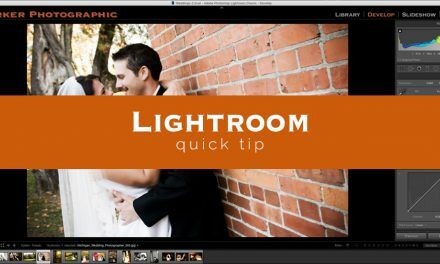 But, Adobe did develop Lightroom with a lot of feedback from well known photographers. Which simply means, the layout is intuitive for a fast and productive workflow. Always start at the top and work your way down. In most cases. Even then, you should start with your Histogram. It has a lot of information about your photo. In fact, it can help you figure out how to “fix” your photo. Did you under or over expose your photo? Well, it’s easy to see when that photo is displayed. But, in your histogram, you can see where and how much needs to be fixed. That’s telling us that the photo has no detail in the shadows. Plus, the huge spike on the right side is saying that the highlights are blown out. So, from that, we know that we need to fix the following sliders; Shadow, Highlight and the White + Black points. Adjust those sliders too much or too little could mean the loss of detail. A properly edited image has details in both the shadows and highlights (for most photos). A good histogram will have no gaps and no spikes. It should look more like this histogram (same image, but properly edited)…. Ok, so reviewing the Histogram is step one. From there you know what needs to be fixed within the Basics Panel. Start at the top of that inner panel and adjust your; WB, Exposure, Contrast (I prefer the Tone Curve over this option), Tonal Range (Highlights, Shadows, White + Black Points), Presence (Clarity, Vibrance & Saturation). I love the Tone Curve inner panel! It will provide you with more precision and control vs. the Contrast slider. So, yes, the Tone Curve is for adjusting your contrast. It gives me a boost in the highlights and shadows. Make sure you don’t go too far. Otherwise, you’ll end up clipping your White and Black points (shadows and highlights). Not sure, check your Histogram. After that, Split Toning, Detail, and Effects. Although, I usually do Sharpening (Details) last (and recommend you do the same). But, what about the Lens Correction and Camera Calibration? Well, Camera Calibration I never have to tweak. 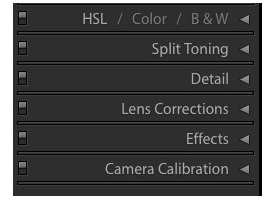 I’ve already setup the options for my personal taste (another one of those things you should do before you start using Lightroom). And for the Lens Correction, well, I’ve set up my settings and I let Lightroom do that for me automatically. I’ve created a Develop preset, with my Lens Correction settings, and apply it during import! I love letting Lightroom do things for me automatically! Once I’m done with the inner panels, the Tools are the next part of my workflow. Adjustment Brushes, Graduated Filters and the last tool I use is the Spot Removal. If you have a lot of “spots” (or retouching), then using the Spot Removal last is ideal. The more “pins” you add the more Lightroom gets bogged down. So, there you have it. My recommendation for where to start (and end) when editing. Hope you enjoyed todays installment. Number 7 is a doozy. Not going to want to miss it. Seriously. …do this and you could save 1 hour for every 8 hours worked! Say what? You want to save time? Get out of here. Seriously? Then, come back in a week to find out how! 1 more thing. If you have any questions, please post them in the comments section (below).